To kick off this three-blog series, I want to start by talking about the big picture: the customer lifecycle map. For over 5000 years humans have recognized the importance and value of maps, using them to record the location of places of interest, plotting out journeys, or studying them to learn the geography of an area. Early maps typically depicted small areas, were pictorial in nature, and typically had no rules relating to how they were drawn, oriented or to what scale. This often led to peril for those who tried to follow them blindly. The simple truth – maps without a key can be just plain dangerous to the casual user. 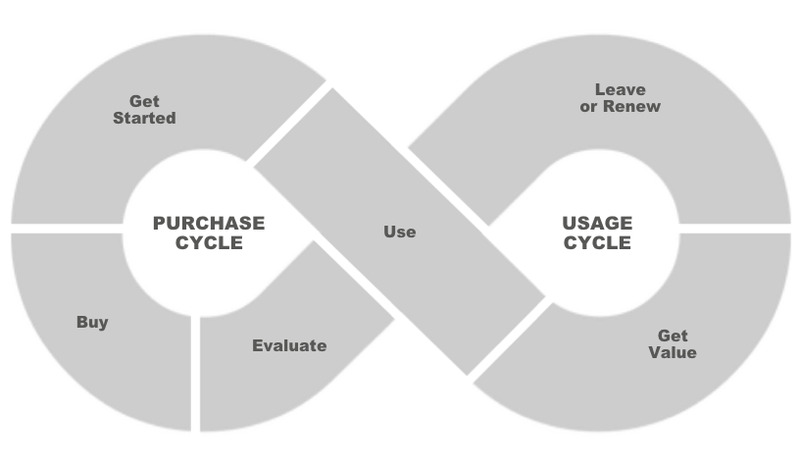 If you have customers, you have a Customer Lifecycle, and it can be mapped. However, if you haven’t had to chance to draw it out yet, or have only a partial or vague understanding of your customer lifecycle journey, it's a little bit like playing the game of Monopoly without understanding rules. It might feel fun in the beginning, knowing you are going around the board and collecting your $200, but soon you will realize the other players who know the rules own all the best properties with little red hotels. This image displays the sequence of events that all of the customers go through as they first learn about your company/product/service and navigate through the marketing and sales funnel, make the first purchase, and recognize value from the first use of your product or service. It follows their journey, leading up to a decision point to repurchase, renew, or choose someone else. Each time your customer rolls the dice and moves forward a space on the map, there is an opportunity to discourage or engage them towards the next potential interaction. Focusing on servicing the lifetime vs. the transaction alone is a critical CX success factor when building the map, but that alone isn’t enough to win the game. Often the most challenging aspect a company faces is the idea that they need to keep things in context for a customer based on where they are on the map. If it is your first time playing Monopoly, and you approaching the ‘free parking’ corner, it isn’t helpful for someone to be inundating you with information about how valuable the Boardwalk property is, or telling you about the potential for a ‘chance’ card. In fact, all of that information, while good, could negatively impact your next game move because you got it at the wrong time. A company needs to stay focused on how to help the customer in whatever phase of the Lifecycle they are in. This will encourage them to make it around the board a 2nd, 3rd or 110th time. Giving customers information that is irrelevant to their phase can cause problems, not only by confusing the customer but also for a company's data collection. Say a company is busy measuring the activities of the first purchase in the “Buy” phase. This is because it's easy to measure and they set goals on new customer acquisition and share of market growth. A myopic focus on a single section of the lifecycle might make the numbers look good without fully appreciating/ignoring the new customer’s “Value Realization” journey throughout the lifecycle. If you’re trying to balance the cost of steep discount pricing for a new customer, by reducing service levels and deflecting customer calls, you will most likely miss the fact that the decision not to renew was made in month two of twelve after a single poor customer service experience. You’re so focused on getting the $200 when you pass go, while your customer is going around the board, and you’re not paying attention when they land on your property to interact with them. Every move through your property matters. Finding the right balance between customers based "Value Realization", and internal facing business metrics, is the key to understanding and managing the customer lifecycle. What, Where, and When to measure all depends on the location of the customer on the lifecycle map and anticipating their next move. Once you know this, you can begin to analyze which touch-points they should be engaging with, and the interactions that could occur from those, which are the topics we will discuss in the next two blogs of this three part series. Until then... Do not Pass GO.